In addressing opioid epidemic, who pays? 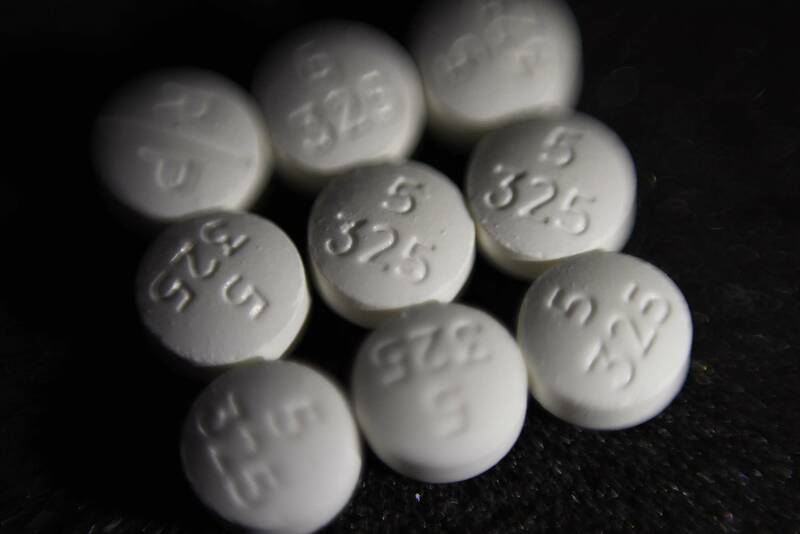 Even though a proposal to make pharmaceutical companies pay for programs to fight the opioid epidemic died in the Minnesota Legislature last session, people on opposite sides of the issue are lining up once again. Both sides admit that opioids are taking a toll, about 50,000 Americans now are killed by opioid overdoses each year. But at issue is who will pay for programs that offer treatment and save lives — the public or pharmaceutical companies. The "penny-a-pill" legislation that failed last session would have raised $20 million a year by charging a fee on drug companies that manufacture and distribute opioid painkillers. Although it passed the Minnesota Senate 60-6, it never received a vote on the state House floor. Supporters blamed a strong campaign by pharmaceutical and business groups. But the "penny-a-pill" proposal emerged again as an issue at a forum on the opioid crisis in Minneapolis Tuesday. Two state lawmakers who've lost children to opioid overdoses shared the stage with a representative of one of the bill's main opponents, the industry group PhRMA (Pharmaceutical Research and Manufacturers of America). Priscilla VanderVeer, deputy vice president for public affairs at PhRMA, said at the forum that PhRMA wants to work to address the opioid epidemic. Her group supports new prescriber limits, expanded access to medications to treat addiction or overdose, and mandating the use of state prescription drug monitoring programs. VanderVeer said PhRMA isn't arguing that there should be "unfettered access" to opioid painkillers, but that they need to educate people about the risks of those drugs. "Our companies don't survive when drugs are hurting and killing people," VanderVeer said at the forum. "Our foundation of our industry is to make sure our products are safe, and if they're not we need to deal with it." VanderVeer's organization hasn't changed its stance on making pharmaceutical companies that sell opioids pay for the programs. She said that will lead to higher costs for consumers, especially harming those who need the medications. "You're putting the onus on patients, whether the tax is applied to a manufacturer or distributor, as economics work, those costs get spread across the system," VanderVeer said, "which means that patients end up having to bear the brunt of that." State Sen. Chris Eaton, DFL-Brooklyn Center, said the proposal was killed by an "army" of lobbyists from "big pharma" during the last legislative session. Eaton's daughter, Ariel, died of an opioid overdose in 2007. PhRMA has six registered lobbyists, according to the Minnesota Campaign Finance Board. The organization dedicated $240,000 to lobbying last year. Even as the state Legislature was considering the "penny-a-pill" bill, some of the lobbyists were donating directly to groups like the Minnesota House Republican Campaign Committee and Republican Senate Victory Fund. Records show that one PhRMA lobbyist, Jennifer Breitinger, donated $1,100 to these two groups between January and July. Other business and pharmaceutical groups have also opposed measures that would tax the industry. Advocates who've been involved in helping to craft legislation about the opioid epidemic in the past have also weighed in. The Steve Rummler Hope Network spearheaded Steve's Law, which made the overdose antidote naloxone more widely available in Minnesota. The group disclosed lobbying costs last year of $7,663. "We are an organization that does not take opioid pharma money," Executive Director Lexi Reed Holtum said in a recent video. "We're hoping to influence people to understand that the best way for people to move forward is to have opioid pharma held accountable through litigation or legislation." State Rep. Dave Baker, R-Willmar, who was the author of "penny-a-pill" bill in the state House, said he's considering legislation for next session that would come at the funding from a slightly different direction, raising about $10 million by adjusting the licensing fees paid by companies that sell opioids. "As the state has spent billions of dollars over the past 20 years, they have profited billions of dollars," Baker said of pharmaceutical companies. "They need to be part of this conversation." There has been some action at the national level. Congress passed a multi-billion dollar package of opioid-related bills just this week. States, counties and cities have also sued opioid manufacturers to recover costs of the epidemic. Although other state Legislature have proposed taxes on opioid manufacturers, New York is the only state to have passed legislation. In Minnesota this election season, politicians from both parties are campaigning on their plans to address the opioid epidemic from slightly different approaches. Republican candidate for governor Jeff Johnson said in a statement that he agrees that pharmaceutical companies will just pass costs onto consumers if there's a tax, but that programs to address the opioid epidemic should be prioritized within the state budget. Peggy Flanagan, who is the DFL candidate for lieutenant governor, said at the forum that she was aghast at how much money pharmaceutical companies spent to fight the "penny-a-pill" legislation last session. She urged Baker to introduce the bill again, and vowed that a Tim Walz administration would support it. The next session of the Minnesota Legislature will open on Tuesday, Jan. 8, 2019. Jon Collins is a reporter for MPR News.